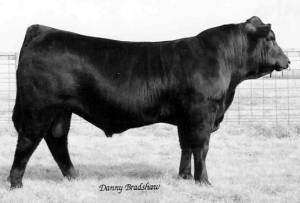 Rawhide was Cedar Top Ranches, NE pick at the 2003 Iowa Beef Expo. He looks to be the next step in genetics from the great Bronco. Rawhide is long, thick and deep, and of course, great profiled.